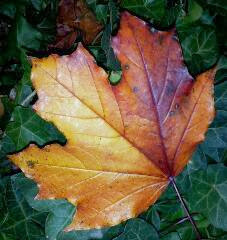 What can say Fall better than a crisp colorful Fall leaf! Sewing machine doilies for real! It is not always a bad when it rains!